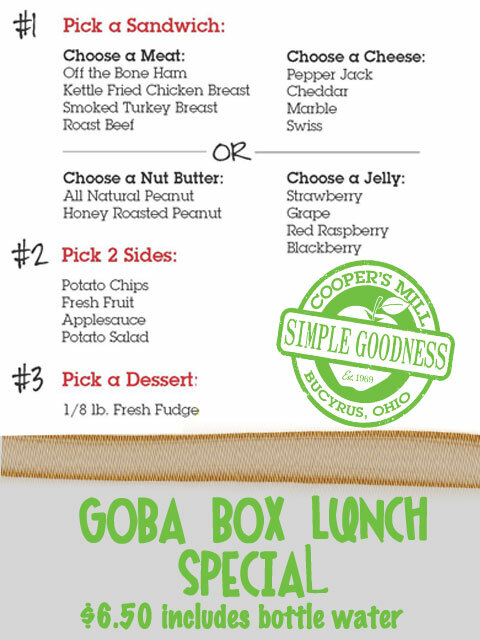 Stop by Cooper’s Mill and Market for our box lunch special! Valid June 20. Must have proper wristband to receive offer. In store only. This entry was posted in Uncategorized and tagged Box, Bucyrus, GOBA, lunch, Riders, Special. Bookmark the permalink. ← Looking for some family fun this Memorial Day weekend? Come out to “Hobo Days at the Station”!